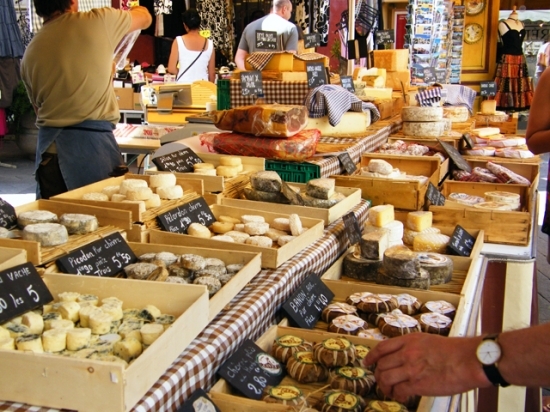 Provence is known for its laissez-faire attitude, excellent food, and vivid, beautiful landscape. 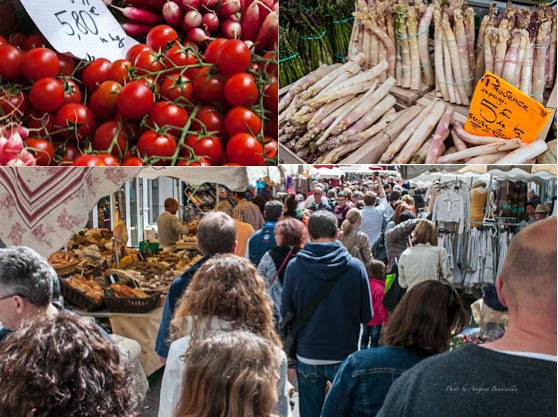 And all of this is captured perfectly in the enormous outdoor market of Arles, France! The Arles Colisseum was built shortly after Rome’s- you can see the inspiration! 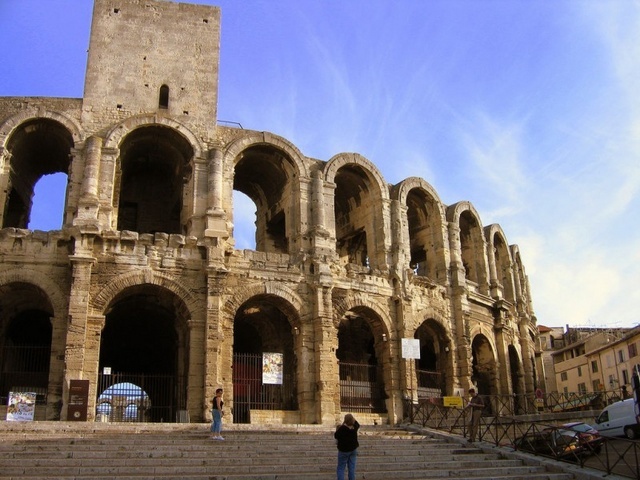 Saturday morning, Bliss Travels and our guests made our way over to Arles, a UNESCO World Heritage site best known for its Roman ruins (it was Julius Caesar’s favorite French town!) and stunningly preserved colosseum. 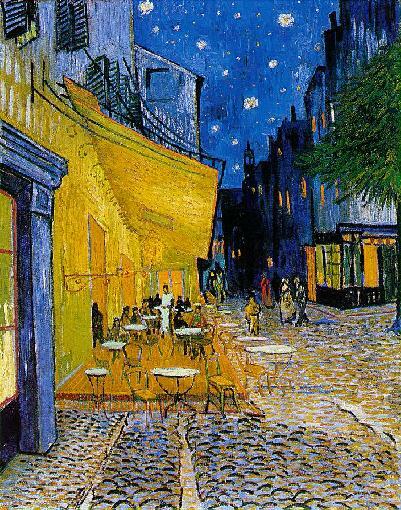 It is also the town where van Gogh famously lopped off his ear and painted one of his most well known pieces, the Cafe Terrace at Night. The cafe is still working to this day- we stopped and had drinks to cool off! “Cafe Terrace at Night” by Vincent van Gogh, 1888. However, on Saturdays these beautiful ruins and even van Gogh‘s tumultuous history are overshadowed by the sprawling market that runs through the two main streets of town. 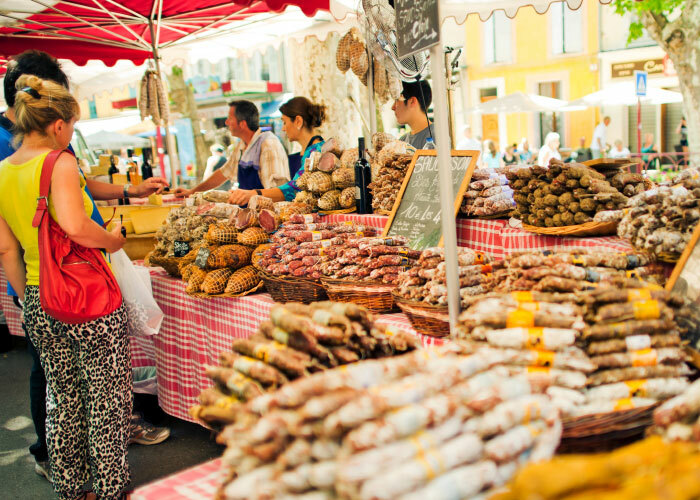 Locals from around the Luberon region flock to this market, the largest around, to buy all manner of things. Mounds of burgundy cherries are sold next to blocks of homemade nougat and wheels of cheese that can weigh up to 60 pounds. Baskets of clucking chickens were stacked next to vats of black olives and woks of fresh Paella that three or four people could fit on! After strolling through this gorgeous feast, we picked out our favorite foods–fresh forest strawberries (frais du bois), local goat cheeses, brioches, slabs of ham, spit roasted pork, a few bottles of wine, ‘donut’ peaches….amongst many other things!–and headed to a park surrounded by Roman ruins for the picnic of the decade! What a way to tour France. Every ingredient is so fresh…it’s hard to buy just one of anything. Under the trees, we shared a beautiful day surrounded by good company, piles of delicious treats and centuries of history. What a day- and what a life! Provence is pure Bliss. Everything is fresh, and everyone is happy! Local cheeses were everywhere. Our mouths were watering from a booth away. This entry was posted in all inclusive trips, arles, dining in france, food, france, france travel, french dining, french food, french travel, french wines, gourmet dining, Luberon, outdoor markets, pastry, provence, shopping, summer vacation, Tour, Tour France, travel, trips to france, vacations, vacations in france, van Gogh, wines and tagged Arles, food, france, french tours, outdoor market, picnic, Tour France.